The information presented on this page was originally released on August 16, 2012. It may not be outdated, but please search our site for more current information. If you plan to quote or reference this information in a publication, please check with the Extension specialist or author before proceeding. DURANT – Holmes County, where 4-H was born as a “corn club” more than 100 years ago, is getting back to its roots by inspiring a new generation to garden. 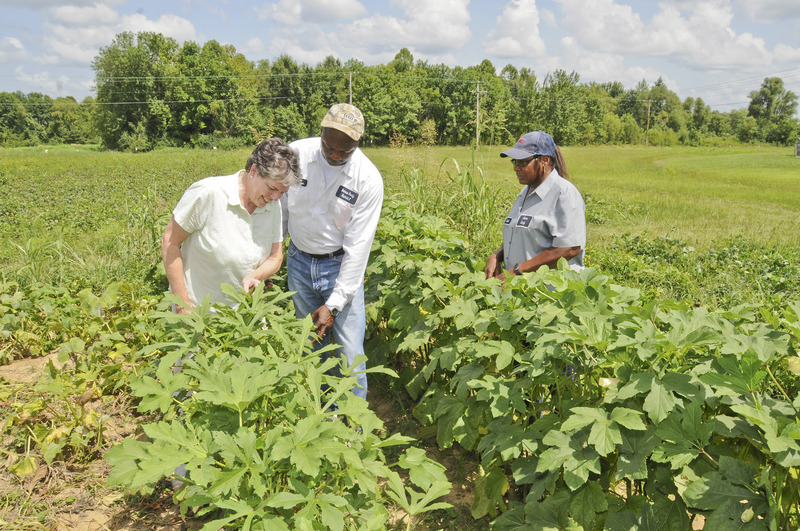 A community garden project blossomed with the help of District 2 county supervisor James Young, the Mississippi State University Extension Service and local volunteers. Padgett and three of her staff members who are involved in food and nutrition programs wanted to address obesity and the chronic illnesses that accompany it. Someone suggested a community garden as one method of sharing healthy habits with a broad audience. Padgett said the Durant Community Garden had several goals centered on healthy living. “By providing people a place to grow their own fresh vegetables, we could demonstrate the benefits of productive exercise, healthy foods and community effort,” she said. The Durant Community Garden, planned since 2010 and first planted in the fall of 2011, is on a vacant lot donated by the city. Padgett asked MSU Extension horticulture specialist David Nagel to help plan and develop of the site. With the leadership of Supervisor James Young, who brought his tractor, disc and planter, the initial garden yielded cabbage and collard, mustard and turnip greens. Young said he got involved because of health issues in Holmes County. The Durant community embraced the project by turning a 10-acre lot into a garden maintained by about 30 volunteers. The City of Durant donated the water. Over 100 people from Durant and surrounding towns came to the summer harvest. Padgett said Young insisted they harvest for themselves and for their elderly neighbors who could not grow and pick their own produce. He also encouraged those from outside Durant to start their own community gardens when they returned home.